Cheerios is kickin' it old-school. Ancient grains have stood the test of time. But now they must pass the test of the American cereal aisle. 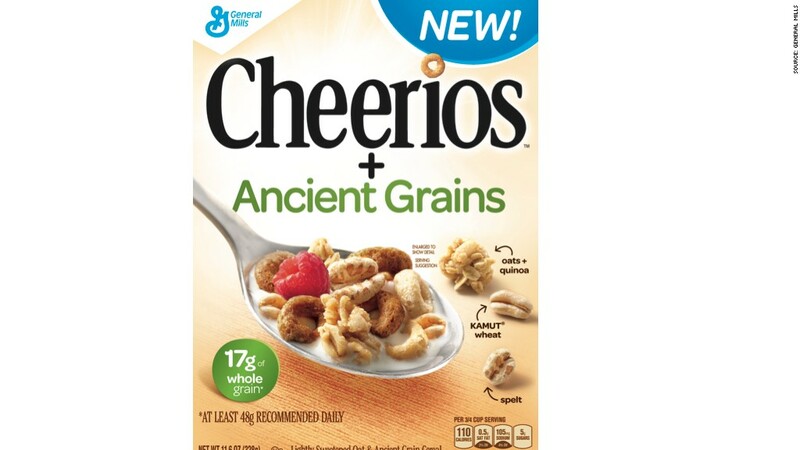 General Mills, owner of Cheerios, announced that it will introduce a quinoa cereal, Cheerios + Ancient Grains, early next year. The cereal also has kamut, another widely popular ancient grain, known for healthy qualities. General Mills is the first global food maker to bring the quinoa craze to the cereal aisle of American supermarkets. General Mills also said it will roll out gluten-free and protein-focused snacks in 2015, as it joins the health-food bandwagon. Consumers want fewer diet-advertised products and more foods aimed at health. The difference between selling for wellness instead of diets is important, says Erin Lash senior equity analyst at Morningstar. "Consumers aren't looking for products where they feel like they're on a diet," Lash says. "Products that have an overall perception of being healthier for an individual have actually done quite well." Other General Mills health items coming to supermarkets soon are gluten-free Chex Mix, Corn Flakes and nut bars. 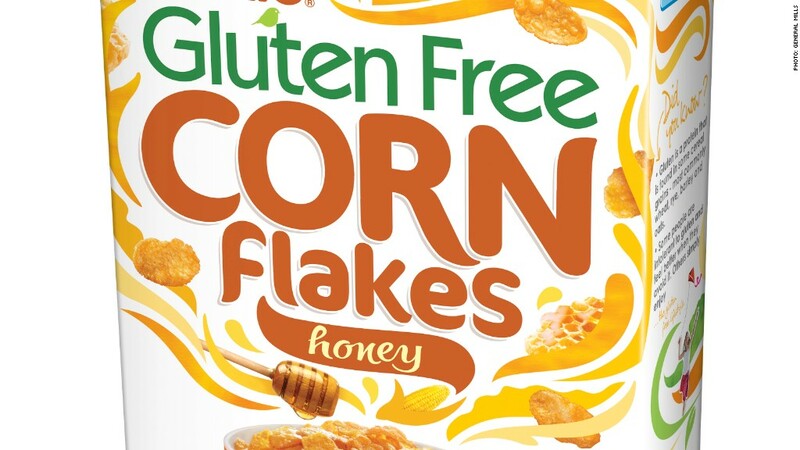 Gluten Corn Flakes is a collaboration between General Mills and Nestle. It will only be sold in Europe. But the company is not giving up on sugary cereals as it focuses on health products. 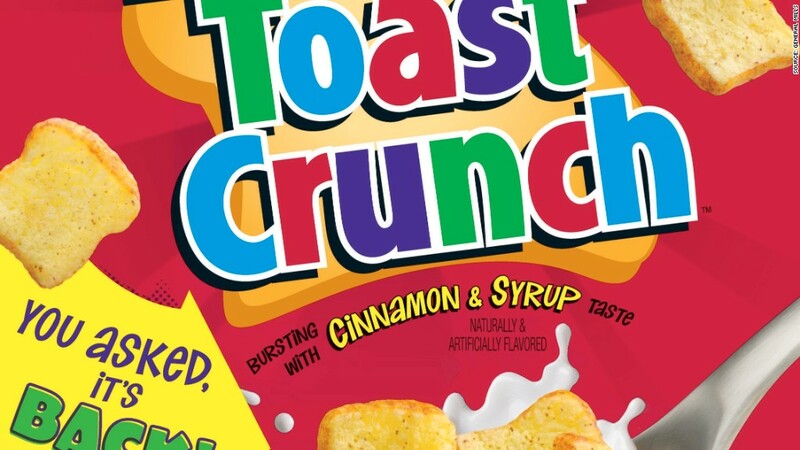 In fact, it's bringing a sweet, old favorite back to shelves: French Toast Crunch. Reaction to the news was so huge that the server housing General Mills' blog crashed when it announced the cereal's return last week, after an eight-year hiatus, according to Bridget Christenson, a General Mills spokesperson. "People love that product," says Christenson. "Consumers are real excited about it."